Bridging the gap between research, science, and the therapy room. When The Polyvagal Theory was published in 2011, it took the therapeutic world by storm, bringing Stephen Porges’s insights about the autonomic nervous system to a clinical audience interested in understanding trauma, anxiety, depression and other mental health issues. The book made accessible to clinicians and other professionals a polyvagal perspective that provided new concepts and insights for understanding human behavior. The perspective placed an emphasis on the important link between psychological experiences and physical manifestations in the body. That book was brilliant but also quite challenging to read for some. 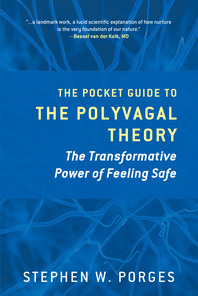 Since publication of that book, Stephen Porges has been urged to make these ideas more accessible and The Pocket Guide to the Polyvagal Theory is the result. 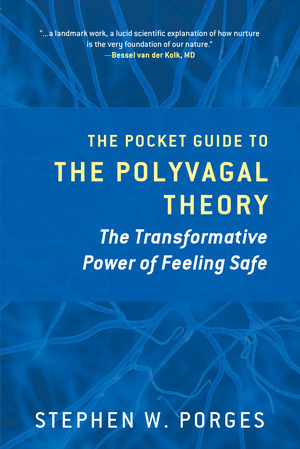 Constructs and concepts embedded in polyvagal theory are explained conversationally in The Pocket Guide and there is an introductory chapter which discusses the science and the scientific culture in which polyvagal theory was originally developed. Publication of this work enables Stephen Porges to expand the meaning and clinical relevance of this groundbreaking theory.